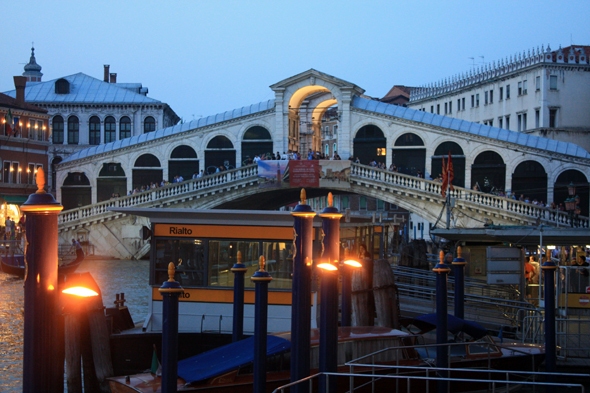 The Rialto bridge in the evening. The prestigious arc of the Rialto bridge, which was built in the Renaissance (1588-1592) was drawn by Da Ponte who had taken the competition in front of Michelangelo. Until 1930s it was the only work connecting both banks.